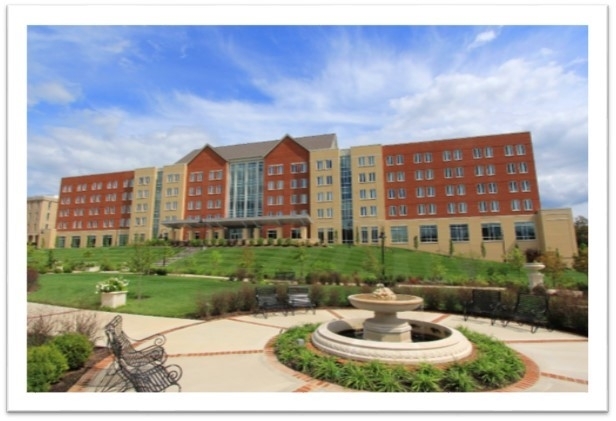 The Martin Hall replacement project at Eastern Kentucky University was recently recognized as Best Multi-Family ICF project in the Country. The floors of Martin Hall are constructed with precast prestressed hollow core concrete planks spanning to the exterior ICF bearing walls with an upset steel beam and column system providing interior support at the corridor. The use of the bottom plated steel beam to support the planks allowed for a total structure depth, including concrete topping, to be less than 12 inches.